At a joint press conference on 2nd April 2019 in New York France and Germany announced that they will officially launch an Alliance for Multilateralism at the opening of the 74th United Nations General Assembly in September. The project has been pursued by German foreign minister Heiko Maas since last year. According to reports, a meeting on the new alliance hosted in New York by France and Germany was attended by representatives of Argentina, Australia, Canada, the European Union, India, Indonesia, Japan, Mexico, Norway, South Africa, South Korea and the United Kingdom. 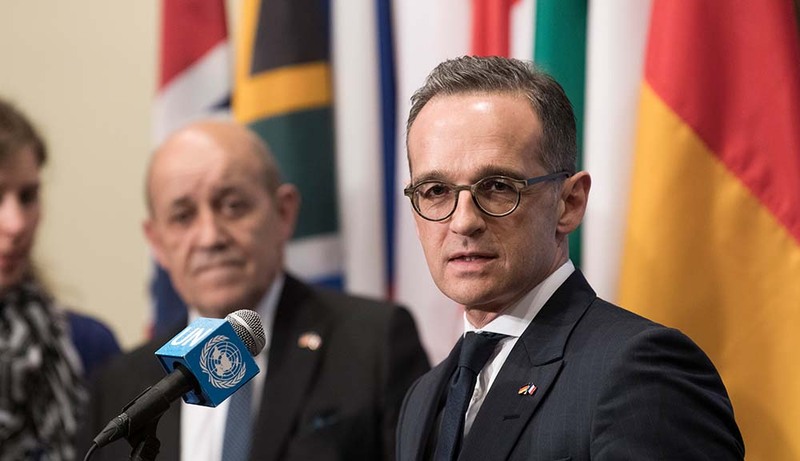 ”We see multilateralism is under threat … and all of those who want to join such an initiative (should) also declare themselves to be multilateralists,” Maas said according to a report by Deutsche Welle. Democracy Without Borders commented that France and Germany should clarify in more detail what the alliance will be about. ”We call on them to make it clear that support of democracy will be part of their agenda. The crisis of multilateralism is also a crisis of democracy,” the organization’s Executive Director, Andreas Bummel, said. He noted that the democratic character of the UN needs to be strengthened, too. ”There is a democratic deficit at the UN and global institutions that helps feed nationalist populism,” he said. Recently, an international group of parliamentarians, among them Germany’s former foreign minister Sigmar Gabriel, said in a joint statement that the creation of a United Nations Parliamentary Assembly should be part of the response to the current threat to the multilateral order and democracy.